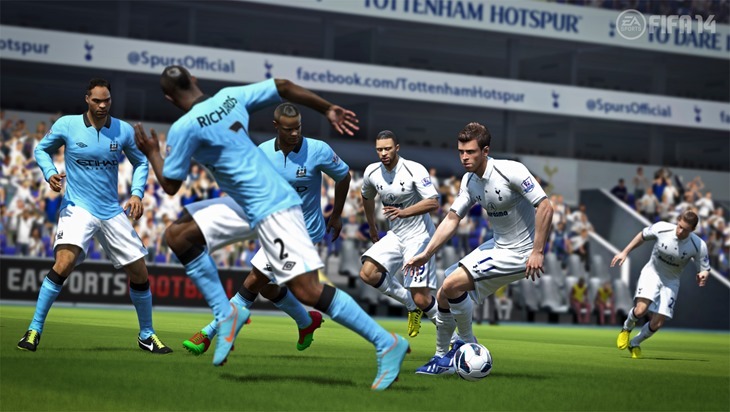 We’re days away from FIFA 15 but as part of our welcome pack into the Xbox One we also received a copy of FIFA 14 for the console so we have slapped together a mini review for you. 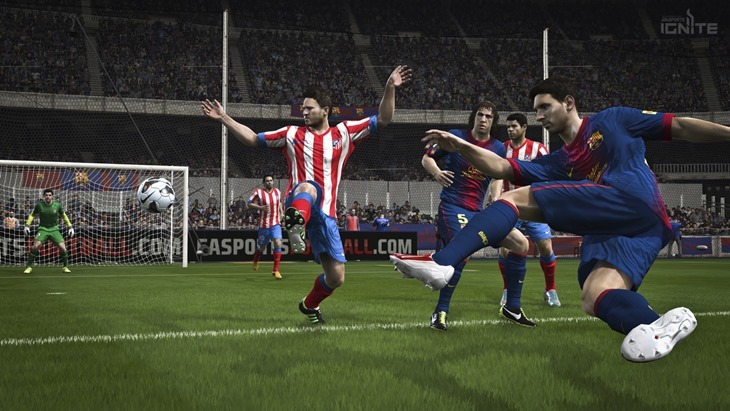 We reviewed FIFA 14 on the Xbox 360 last year and it’s no surprise that the game is very similar indeed. But there are differences as the Xbox One, and PlayStation 4, versions of FIFA have an entirely new engine that takes advantage of the added power these new consoles bring to the party. It doesn’t take long to notice the brand new ignite engine in action with the player movements far more life-like and the overall graphical experience a definite improvement over the previous gen versions. My ‘oh wow’ moment came when I slid in to grab the ball from the opposition and the opposition player crumpled to the ground. The commentators started saying it looks like he took a blow to his upper thigh and sure enough on the slow motion replay you could see my player catch him with his knee in his upper thigh. This attention to detail flows throughout the game with passes, shots and tackles all the more realistic and timing all the more important. However apart from these engine and graphical enhancements the game is exactly like the Xbox 360 version we reviewed a year ago. It’s a great game that I’ve spent 12 months thoroughly enjoying but if you are in the market for a FIFA game you would be insane not to wait a few more weeks and grab FIFA 15 on the Xbox One or PlayStation 4. We've already reviewed the main game and as such the game gets the same score. FIFA 14 on the Xbox One is great but there is absolutely no reason to buy it so close to the FIFA 15 release. Doesn't make it a bad game though.